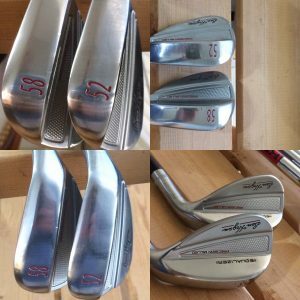 I’m so happy to finally be able to complete my Ben Hogan Equalizer Wedge Review! The equalizer wedges were released earlier this year and I’ve been after Hogan Golf ever since to get my hands on them. As with every club they sell, Hogan only makes them on demand for the general public. They do produce clubs to release to influencers in the market, which I’m not one of…Yet. How I tested: The bulk of the work for the 58* lob wedge was done pitching and chipping around greens, both in practice and during rounds. I also hit full shots with it too, but only a little bit because full lob wedge shots from the fairway are difficult for me. I hit the gap wedge quite a bit on the range and around the practice green and during play around the green. What Surprised Me: Both wedges set up beautifully behind the ball, especially when pitching and chipping around the green. I’m able to hit either wedge on any trajectory I want pretty much. What Didn’t’ Surprise Me: These are beautiful clubs yielding beautiful and consistent performance. Hogan doesn’t know how to make a clunky or ugly club. Considering New Wedges? 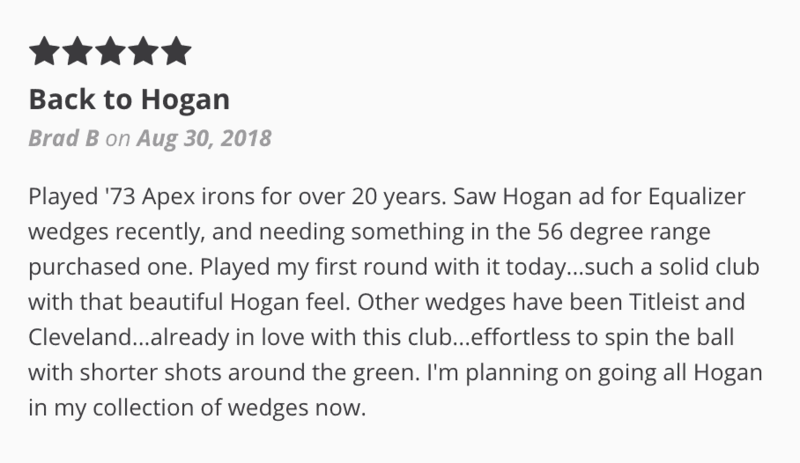 Give Hogan Equalizer Wedges Your Attention. Looks: Beautiful and elegant wedges that frame the ball perfectly and inspire confidence. Feel/Sound: Soft and buttery. A very pleasing “click” at impact. No harsh feedback or sensations to report. Trajectory: You can hit these high, but you don’t have to. Ballooning has not been a problem in my testing. I was able to control air time pretty easily. The Equalizer wedges are said to be patterned from the wedges Ben Hogan designed back in his playing days. Higher lofted wedges have the weight moved higher in the clubhead to prevent ballooning and increase accuracy. Control: I don’t think these have the most spin of the wedges I’ve played and tested but it’s very easy to adjust to them and I consider them great scoring clubs around the green. Any Handicap: Forgiving enough for the beginner and refined enough for low handicappers. 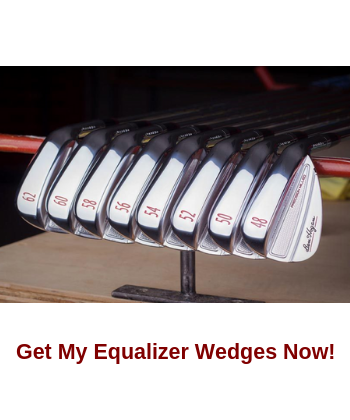 I don’t think you can go wrong with Equalizer wedges. The Equalizer wedges are available through the Ben Hogan Wedge demo program. They’ll ship you two demo clubs with lofts of their choosing. (AS LONG AS THEY HAVE THEM IN STOCK FOR DEMO) They ship fast and include return shipping label. Couldn’t be easier. 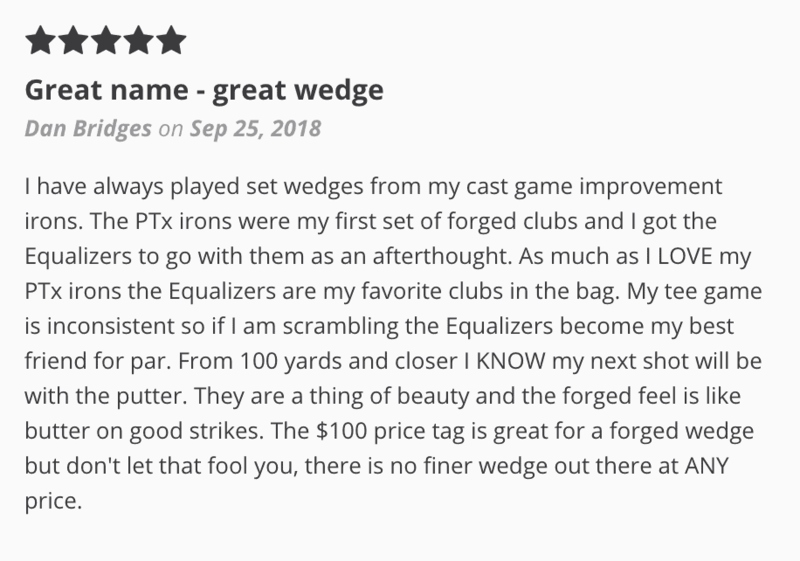 So, thanks for checking out my Ben Hogan Equalizer wedge review. I love them, and I think you will too.